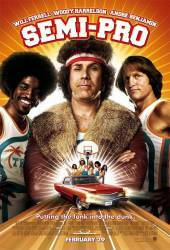 Factual error: The basketball rims used in the movie are of the modern basketball era with "breakaway" rims. Such a rim was not used until after 1979, when Darryl Dawkins broke his first backboard in a game against the Kansas City Kings in November 1979. Factual error: On the bus, they play the song "Short People," which only came out in 1977, whereas the movie supposedly takes place in 1976 - the year of the NBA-ABA merger.